Tablets and smartphones on the Android operating system are becoming more popular every year. And many today already actively use them, saving a lot of personal data and hoping that they will be stored securely in these devices for a long time. But sometimes the technique fails. What to do if you have a large database of contacts, and suddenly all of them or part of them simply disappeared? 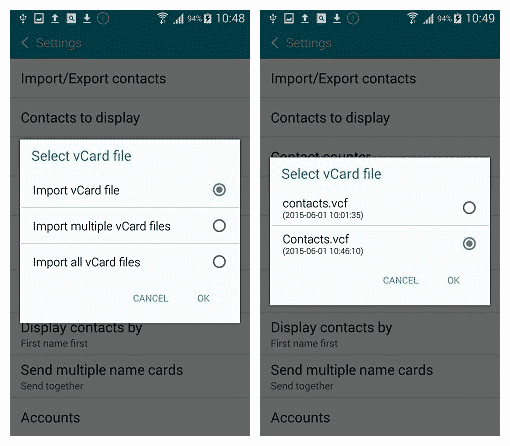 This article provides several recommendations on how to restore contacts on Android and play it safe in the future. The easiest way to protect yourself against losing all contacts is to make regular backups to external media. If a memory card is installed in the smartphone, then it’s enough to go to the phone book, select the Import / Export item, and then specify the device memory as the copy source, and the memory card as the target location. After that, a file will be created on it, which will contain all telephone contact records books. To be safe, this file is best stored in several places, including a home computer and secure cloud storage. Regularly updating it, you will always have on hand a fresh version of the database of contacts. If necessary, it will be enough to perform the same actions as when copying, just choose the memory card as the source, and the phone’s memory for the intended purpose. All your contacts will be in place. Now you know how to recover remote contacts on Android from the backup database. But what if there was no such backup? Even if you do not use the Google Play service to install applications, it would be nice to have an account. It is used not only for user authorization, but also for storing large amounts of data, among which are phone numbers from the device’s phone book. If you set up automatic synchronization in advance, then each time you connect to the network, the smartphone itself will send new phone numbers to the cloud server, where they will be stored until the right moment. If suddenly you need to restore contacts after resetting the settings, then it can be done quite easily. Even on a new or completely cleared phone, you should log in to your Google account, then go to the phonebook, select the Import / Export item, and perform the same actions as in the first method, just specify your account as the data source . If you have a stable high-speed Internet connection, the operation will take less than a minute. Some large corporations produce proprietary software to work with their devices. 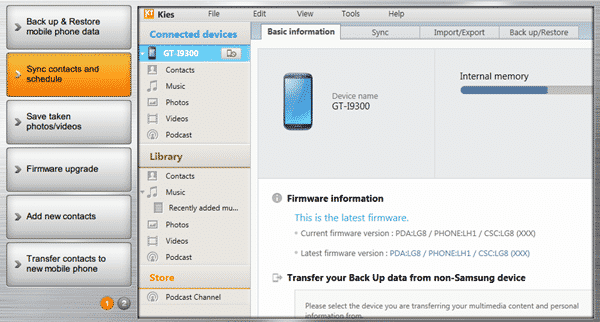 For example, Samsung, until recently, actively developed the program Kies, installed on a home computer. It was designed to exchange data between a PC and a smartphone or tablet. The list of these data included contacts. Saving backups by default in applications of this kind is often included, and starts immediately after connecting the smartphone using a USB cable. Therefore, if you have lost contact, but you have previously used a similar program, it would be nice to check it. It is possible that she has saved your data, and through her menu you can easily restore them. Sometimes it happens that a user sounds an alarm ahead of time. In the phone book of any smartphone there is a function to filter contact data. It is designed to temporarily or permanently hide certain groups of contacts that seem to be needed, but use them quite rarely. Sometimes you can accidentally set the filtering in such a way that all contacts from the phone book will not be displayed, although they will remain in the device’s memory. It will look as if the phone book is simply empty. To check whether this is in reality, you just need to go to the appropriate menu of your phone book. Sometimes it was accidentally possible to turn on the display of contacts only from the SIM card, so first of all, check which source parameter is set. It is advisable, to be sure, to include impressions from all sources. In addition, there is such a thing as a group of contacts. This is a pretty handy feature if you configure it in advance. Grouping contacts allows you to separate personal and work life, and quickly find the person we need. However, if this function was not configured in advance, it may turn out that the filter will display only one group, which is also empty, because no one has added any entries to it. Thus, it may turn out that all the data remained in place, and you simply cannot see them and experience them ahead of time. There are also methods for recovering contact data through special software, but they are often more complex and require special skills. If you do not have them, it is better to turn to specialists, as you can only reduce the chances for a successful recovery on your own.